Here’s a little question for you. 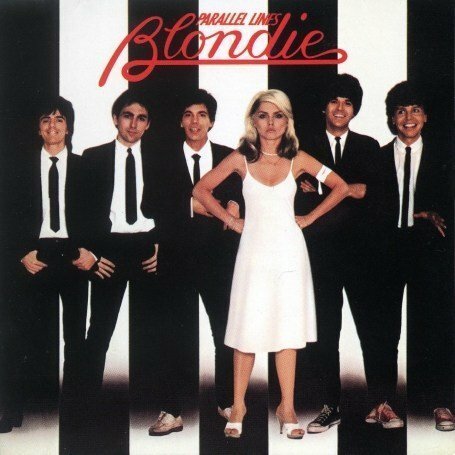 How many copies of Parallel Lines do you think Blondie sold? 1 million? Sure, that’s a pretty decent number for a post-punk-pop band, but not even close. 5 million? That would keep any decently managed band in drainpipe jeans and guitars for life. But no. 10 million? Getting closer, but still no cigar. They sold, depending on who you listen to, between 20 and 40 million copies. Let that sink in a minute. Those sort of numbers make you a global star. Once you sell that many records, you can do whatever you like the rest of your life. You are seriously, properly, yacht-buying, helicopter-flying rich. Of course, things didn’t quite work out that well for the band, what with Chris Stein suffering from an horrific auto-immune disease called Pemphigus, causing him to be seriously ill for many years (he’s better now, thankfully). Anyway, that was just a little thought for today. The days of a band like Blondie selling even a tenth of that number of records is long, long gone. Whilst I’ve railed against the waste and extravagance of the record industry in the past, you can’t help but admire the way it could turn a bunch of hugely talented musicians into global superstars, and making them, and some pretty obscure songwriters, very, very, very rich. Not that money makes you happy, of course, but it can buy you a better class of misery. As a little tribute to the record, the band, and one of the obscure musicians who wrote some of the songs on the album, here’s “Hanging On The Telephone”, the opener to Parallel Lines. Enjoy your Saturday.